Sheffield May Day Trek – Alleviating poverty one step at a time. Alleviating poverty one step at a time. Registration opens at 9:30am for 10am start. The Sheffield May Day Trek is an annual sponsored walk to raise money for Christian Aid and CAFOD. Starting on the edge of the beautiful Peak District National Park the walks take you past some of the most beautiful scenery on the Yorkshire/Derbyshire border. Since it began in 1966 the May Day Trek has raised thousands of pounds to help some of the poorest communities in the world. Walkers taking part in the May Day Trek, and its associated walk the Sheffield Night Hike Challenge (held in June), raise approximately £15,000 each year. It’s a fantastic opportunity for families, friendship groups and individuals to help support long term development projects for some of the worlds poorest people. The walks start and finish at St. Luke’s Church taking in parts of the beautiful Peak District. 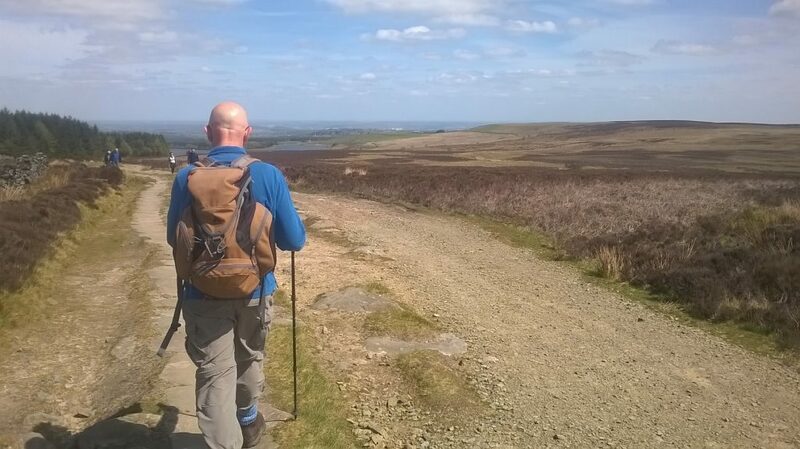 There are two circular walks of 6 and 12 miles into and through the Hallam moors to the west of Sheffield.